Today, I want to educate you about how to generate MLM leads on Facebook. Facebook is a powerful social media platform with more than one billion users. It’s one of the most popular websites online, if not the most popular website. As a network marketer, you should consider leveraging Facebook to grow your network marketing business. 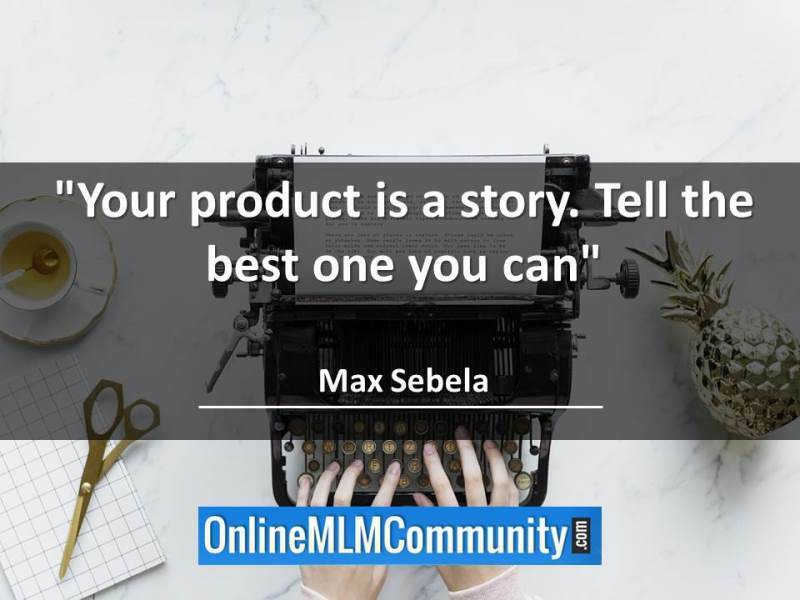 What I want to do in this post is share several different strategies you can use to generate MLM leads on Facebook. I’ve used all of these methods myself at one point or another (or still do) and all have worked for me. Of course, individual results will vary. If you aren’t using Facebook live to generate leads for your MLM Business, you are really, really missing out. Facebook live allows you to make videos, similar to what you would do on YouTube. There are several benefits of leveraging Facebook live. First off, video allows you to connect with your prospect on a personal level. When they can see your face and hear your voice at the same time, it allows them to build that instant connection. Another great benefit of Facebook live is that all of your “fans” or “friends” will receive a notification when you go live. This is powerful when you understand it. Compare that to when you do a normal post on Facebook, and only a small percentage of your fans or friends even see it. Plus, your Facebook live will stay on your timeline/feed after it is published. The key to generating leads with Facebook live is to provide VALUE. Do not make your video one big sales pitch. Focus on educating and entertaining your prospect. Keep your video centered around one topic. Short videos work best, normally three to five minutes. Be yourself. Be transparent and authentic. At the end of your Facebook live, you can have a simple call to action, such as, if you want to learn more about a product that helped me lose 20 pounds in two months, please send me a private message. If you’re going to use the Facebook live strategy to generate MLM leads on Facebook, it’s vital that you create a posting schedule and stick to it. Don’t just create one Facebook live and stop. Be consistent and predictable. Facebook offers a unique pay-per-click program similar to Bing and Google. You can create an ad, set your bid, and be in business. When people click on your ad, they will be directed to your website or fan page, whichever you choose. Even better, you can choose which “demographics of people” see your ad. For example, you can have your ad only shown to people who have “network marketing” as an interest and live in the United States. Or, you could choose “stay at home moms in Houston, Texas.” This allows you to focus on your target market. When using the Facebook PPC Ads, I do not recommend trying to promote your business opportunity. In most cases, Facebook won’t let you do that anyway. They are not big fans of our industry. Instead, I suggest you give away something else for free, such as a free report or a free coaching session, or you lead with your product line. Try to use a two-step selling approach if possible. This means you give away something for free, generate a lead, and let the “free information” sell your prospect on what you have to offer. I also suggest you start with a really small budget, less than $20. $10 is even better. Start out real small and test your results. Find out what works and what doesn’t work for you. Focus on generating leads rather than trying to make a sale! That should help a lot. You can learn more about an experiment I did with Facebook ads right here. Another way to generate MLM Leads on Facebook is to create your own fan page. I think it’s best to keep your MLM Business separate from your personal page (just my opinion). You can set up a fan page for your network marketing business. You can invite people to LIKE your page. When people like your page, they can visit it frequently to see what updates you have posted. Facebook will even send messages to SOME (not all) of the people who like your page. On your fan page, focus on PROVIDING VALUE. Don’t just try to sell and recruit. Post inspirational quotes, funny pictures, training tips, testimonials, product uses and other helpful information. Be an educator rather than a salesman! You can use the Facebook PPC Program to promote your fan page if you want to. Or you can put a form on your blog or website where people can “like” you and become a fan. You can syndicate your content from your blog onto your fan page. Your other option is to create a group. I currently just use the group feature, not a fan page. As an example, if your MLM Company sells essential oils, I would make a group about essential oils, not your company. If your company sells weight loss products, I would make a group about weight loss. If you are focused just on recruiting reps, I would make a MLM Mastermind Group, just like I have. The bottom line is you want to position yourself as an expert and draw people to you. Another good way to generate MLM leads on Facebook is to participate in other groups. 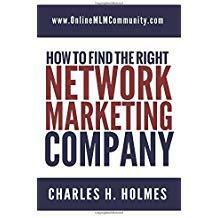 Find groups similar to your chosen niche. For example, if your company sells make up and cosmetics, look for several groups you can join geared toward that topic. If you want business builders, join groups that are network marketing oriented. Whatever you do, do NOT spam these groups. Don’t just post your link in hundreds of groups. That’s a great way to damage your reputation, get kicked out of groups, and ruin it for all other network marketers. Your goal is to PROVIDE VALUE. Share ideas, respond to questions, and be yourself. Your goal is to build friendships and get people to reach out to you. Don’t pitch anyone. Find 2-3 popular groups, participate daily, and over a period of time, you will build your own following. 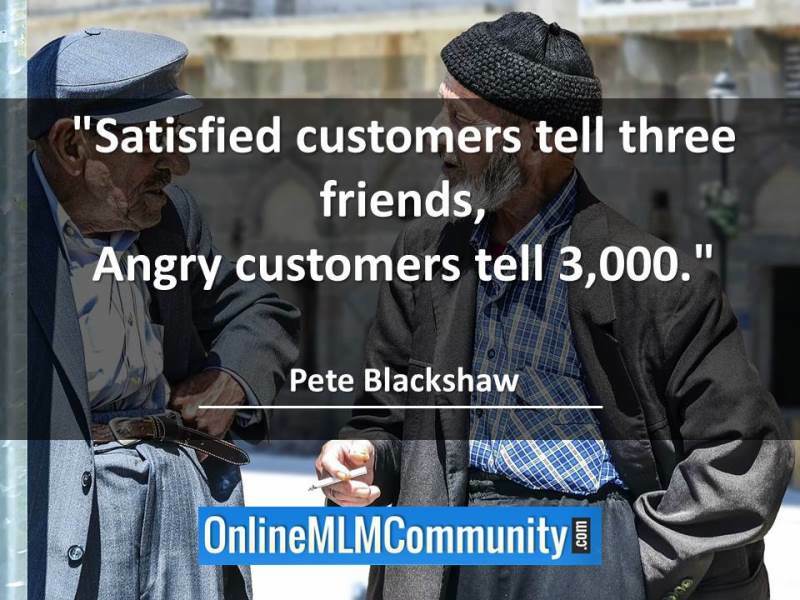 Another great way to generate MLM leads on Facebook is to send five to ten friend requests daily. Check out your suggested friends and look at friends of friends. Look for people with qualities and experience that would help them in a business. Just send them a friend request and they will start seeing your updates. Assuming you are positing positive and uplifting stuff, and nothing negative that repels them, a percentage of these folks will be interested in learning more about what you do. If you send five friend requests per day, you could ultimately have 1,800+ new friends each year! Form a friendship with some of these folks, and I can almost 100% guarantee some of them will join your business. One of my most important tips to generate MLM leads on Facebook is to have a KILLER profile. You want a great picture of yourself (not with your family or pets). You do NOT want to say the name of your MLM Company in your profile. Have a good “cover” for your profile. Do not provide links to your MLM Company. In addition, NEVER ever talk about religion or politics. It is a bad decision for business. I’m not saying not to have an opinion. Just keep your opinion to yourself and do not post it. Why? Because no matter what your views are you will automatically alienate at least half of your audience. Also, keep all of your posts POSITIVE and upbeat. No one likes negative people. No one wants to hear about your problems. Remember, negative repels and positive attracts. Stay positive. In my opinion, generating leads for your network marketing business via Facebook should only be one of your lead generation strategies. I’ve found that Facebook can be very time-consuming and full of distractions. It doesn’t take long to spend a couple of hours on the Facebook without achieving anything productive. If you are going to use this strategy you should set a time limit and be disciplined with your time. Make a prioritized checklist of things you want to accomplish that day and stick with it. I’d bet that 20 to 30 minutes a day is more than enough time to work smart. Furthermore, Facebook isn’t too fond of the network marketing industry. You could make one small mistake without even realizing it and end up in Facebook jail. Tread cautiously! Also, I want to give you one more piece of advice. I’ve said this before, but don’t be the person who pukes their business opportunity all over other people on Facebook. Don’t put your business opportunity links all over your wall or on your friends’ wall. Don’t tag people about your products or opportunity. This is so annoying and unprofessional. Always focus on providing real value first. Cultivate a real relationship with each person you connect with, provide value and attract them to your business. Never do anything you wouldn’t want done to you. In conclusion, these are my best tips on how to generate MLM leads on Facebook. Facebook is a “tool”. When used correctly, it can help you explode your MLM Business. When done wrong, it can take up a ton of your time and money, and lead to frustration and information overload. You can promote your business on Facebook in a variety of different ways by using strategies such as pay-per-click, creating a group or fan page, leaving comments in other groups, sending friend requests and utilizing Facebook live. What are your thoughts? What are your favorite ways to generate MLM leads on Facebook? Leave a comment below to share your thoughts. I’ve seen so many unprofessional networkers spam their link on every page they can find. It really gives our industry a bad reputation. If you are going to work Facebook, please take Chucks’s advice above and be a professional about it. Strive to be a leader in our industry instead of a spammer. Learn the ropes first. I can’t stand spammers. They are everywhere. I agree that Facebook is an excellent way to build your MLM business and generate leads. I’ve used the PPC program, I’ve linked my blog to my fan page. I use my fan page as a place where I get to be a guru dispensing wisdom and answering questions, very rarely do I sell anything directly on the page. Commenting on other people’s pages works pretty well too. However, there are certain groups in which you can’t do any type of self promotion or they will kick you out. It’s best to just be interested and be authentic in your comments on other people’s pages. People will like you and subsequently friend you and then you can tell them more about you and what you do. It is a good ide to create a fan page/group. It gives people a place to go back to in order to gain information pertaining to your product/service. And I do agree with you Charles that separating the business from the personal is best. You don’t want your personal views or beliefs or actions to cloud how people view your company. Having this fan page/group is also a good way for you to connect with your followers and get their feedback which in the end only improves the business. Thank you for another great article. The tip you shared that stands out the most by far is: “Be an educator rather than a salesman!” How true. I have seen so many amicable conversations screech to a halt when one of the involved says something like “Well, I sell …” If that person had just shared some information about their product or their field of expertise, interest and rapport would have been built. Share what you know, provide value and build interest, and the customers will turn to you in their times of need. This is excellent advice. I agree. Share and educate rather than sell!